This is a death defying MONSTER of an ULTRA CAMEO! Yes, this coin not only walks and talks, it glows in the dark. Multiple WOW factors come with this coin. Ultra deep and never ending mirrors have incredible clarity, cleanliness, and nearly blinding reflection. There is one light hint of hidden toning (yeah, its actually hidden) still, this coin is as ULTRA BACK AND WHITE as you will ever see! Miss Liberty and the details are bold in appearance. They have sculpted full details which are covered by thick iridescent white frost. You’d think this coin was chiseled from a block of ice. The eye appeal is phenomenal! ONLY 762 were minted. PCGS 9, NGC 15, CAC 13 (obviously a re submission in there). We admit to trying this coin 3x for a +. The last PCGS CAC DC to sell in auction brought $23,500.00.00 back in 04/2013. You can’t find these any more at shows or auctions. Even if you could, you won’t find many looking like this! This coin is also fresh to the market having been placed with a collector in 2014. Think about it, which would you much rather own? 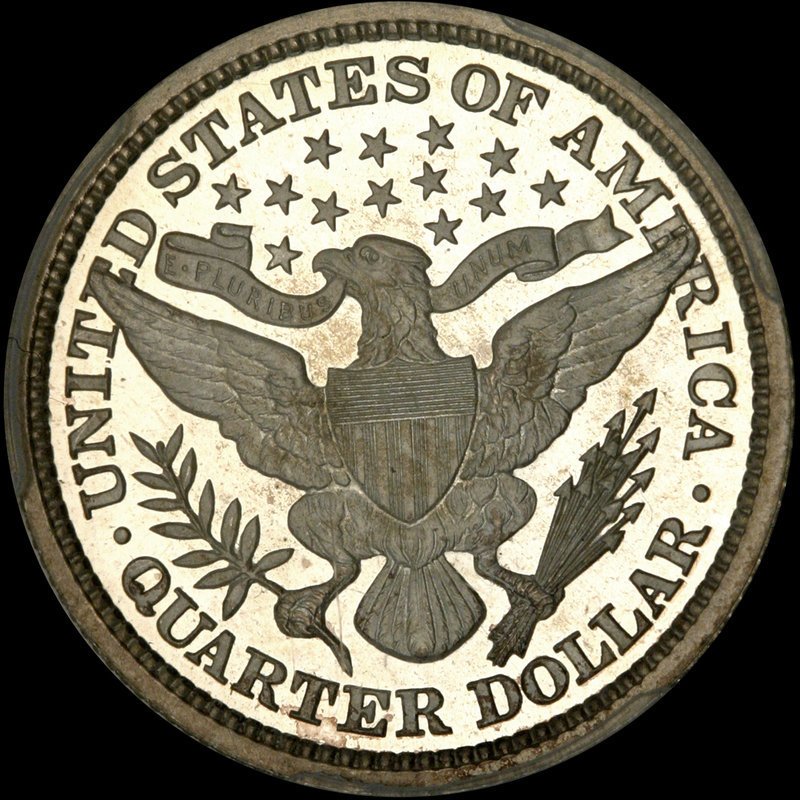 One of the best PR 25C thats PCGS CAC or a bunch of dupes that are marginal? 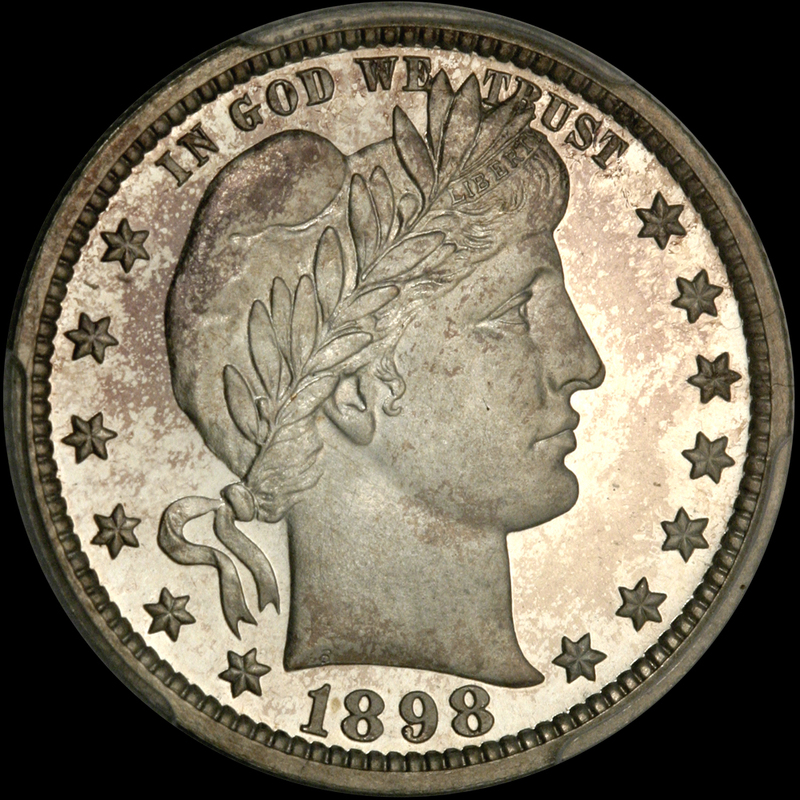 Of course if you collect Barbers or are building a Type set, this coin is a “must buy”. Warning: wear sunglasses when we post the image!